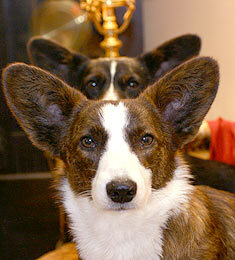 My children were invited to Birthday Party of Youtube Star Chihuahua Sophie! 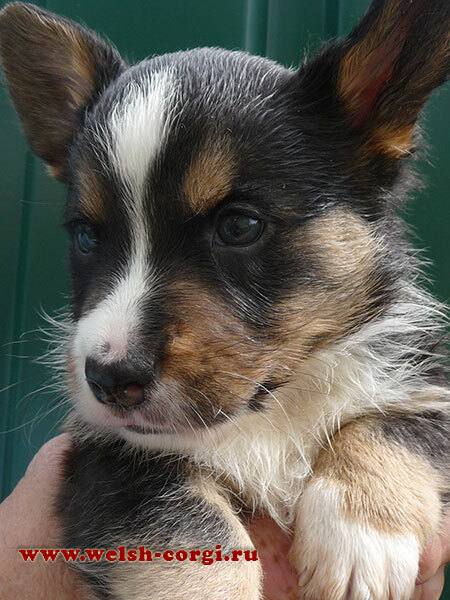 I want you to smile with me! Cute brindle boy Zamok Svyatogo Angela YA VASH is waiting for the best home! 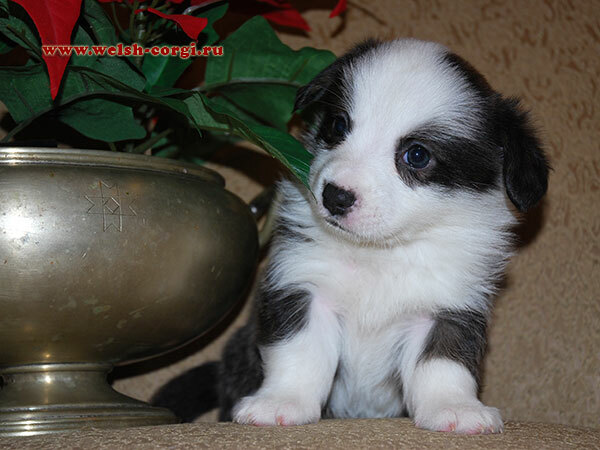 Meet red&white angel Chelsie (Zamok Svyatogo Angela CHELSIE)! 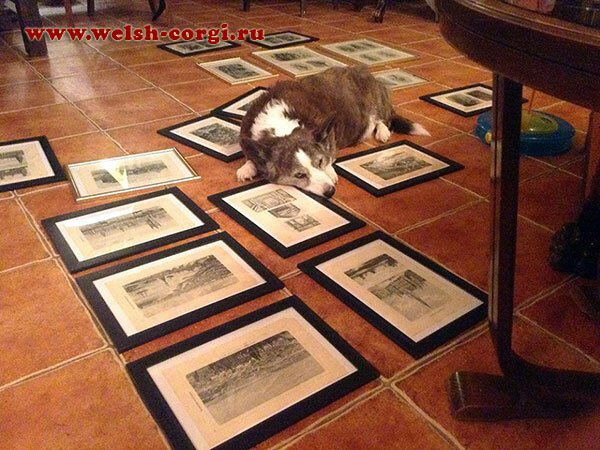 And don't miss her pictures in the photoalbum. 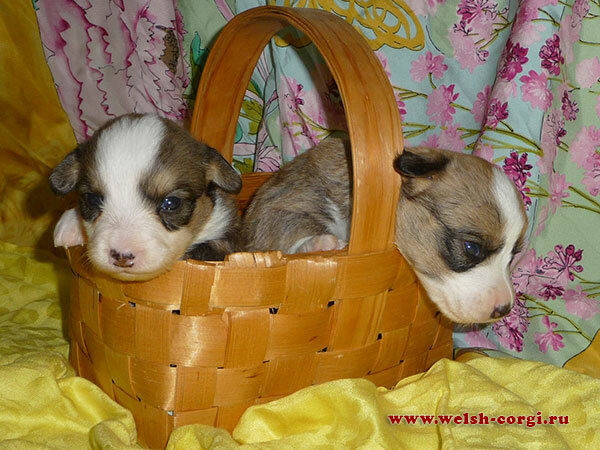 All babies of J Litter are in the new homes! 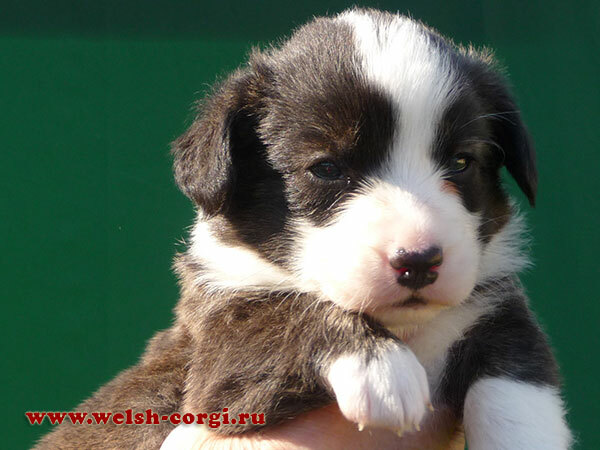 On the 9th of June our Hanna (Zamok Svyatogo Angela HANNA BRAVO) brought us 6 beautyful babies: 1 brindle boy, 1 brindle girl, 2 red&white girls and 2 red&white boys! The Father of the puppies is red&white Zamok Svyatogo Angela ZIGMUND. 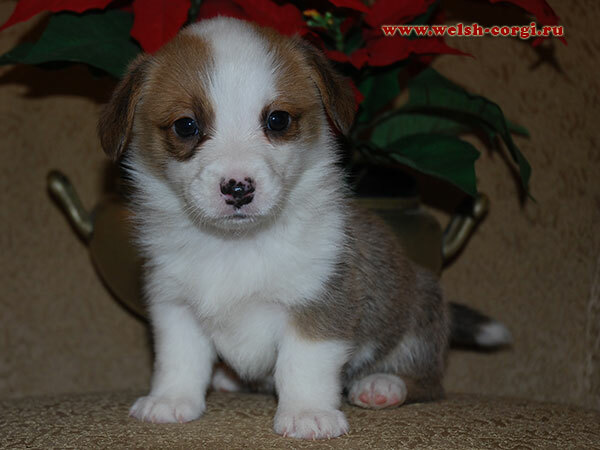 We will show the photos of the puppies soon. Now you can see the pedigree of the puppies on the page of YA Litter. 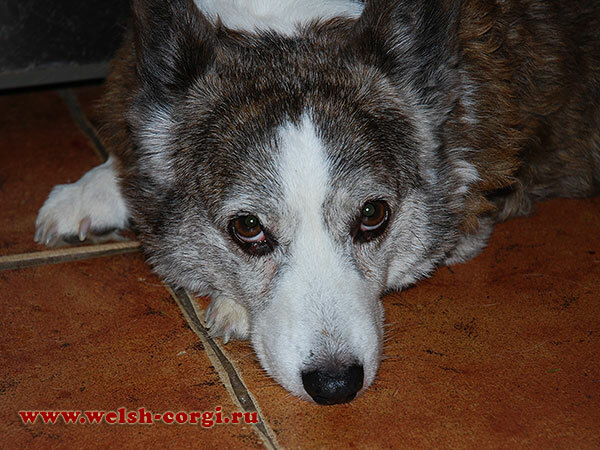 Hill's Club has made the film of welsh corgi cardigan breed which was shooted in our Kennel! 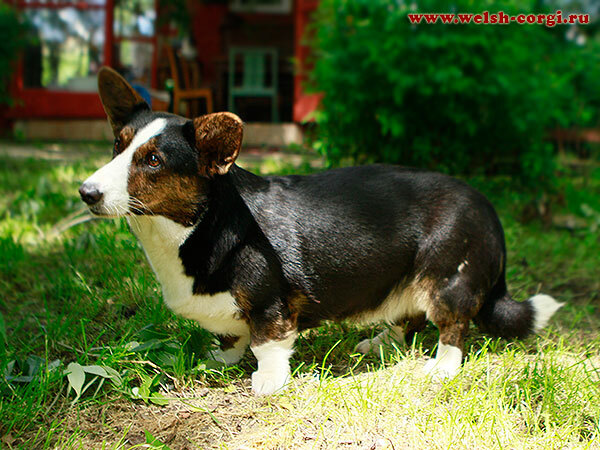 In this movie you can see the real life of our dogs! 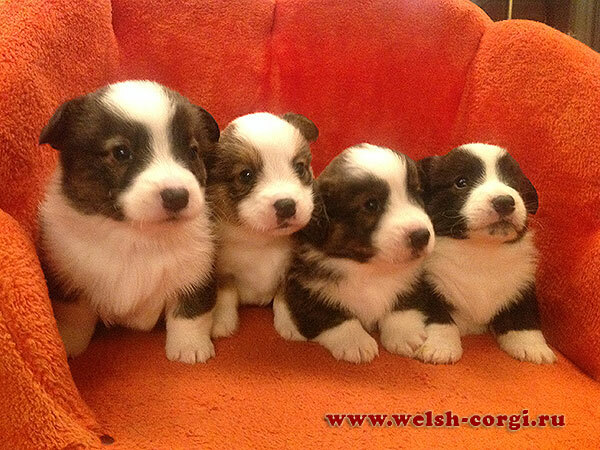 Meet our new welsh corgi cardigan babies of J Litter! 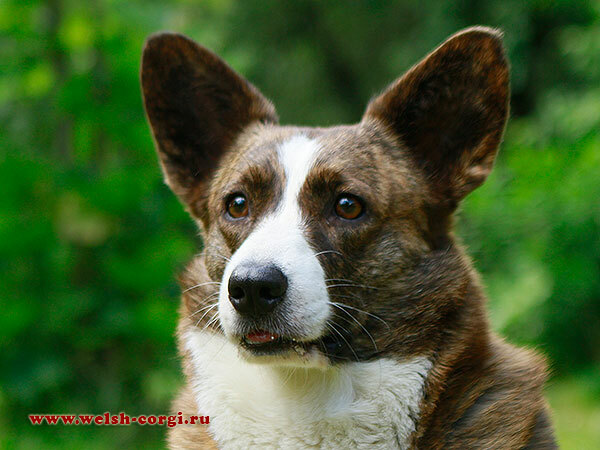 The happy parents of the children are Korgi Na Volge ARUS and Zamok Svyatogo Angela NAOMI! We have 3 brindle boys and 1 red&white girl! 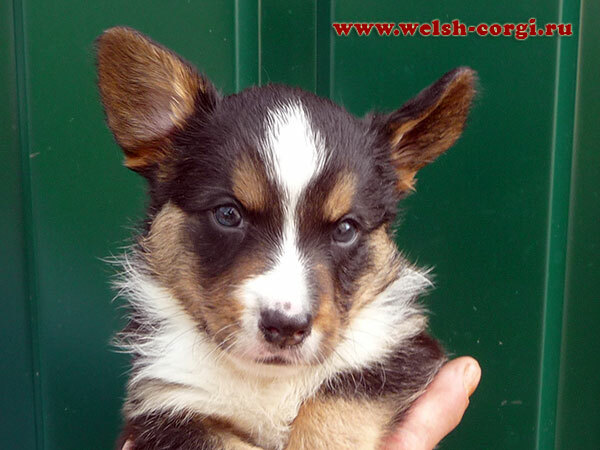 Please, find their pedigree and first pictures at the age of 34 days on the page of J Litter. 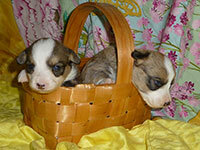 Our babies - brindle boy SHERWOOD and red girl SHEILA are waiting for the new Moms and Dads! 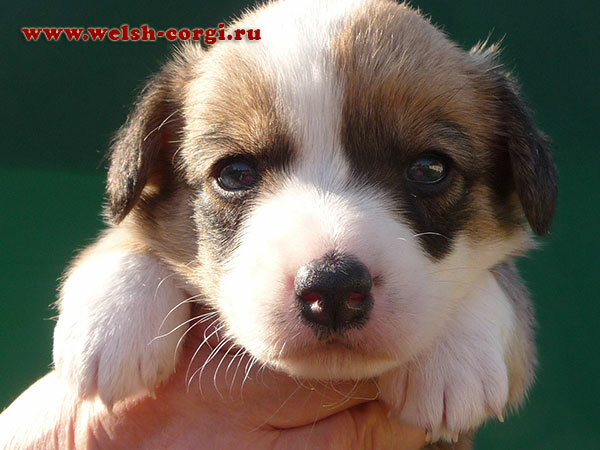 Please, find their new pictures at the age of 2 months on the page of SH Litter. 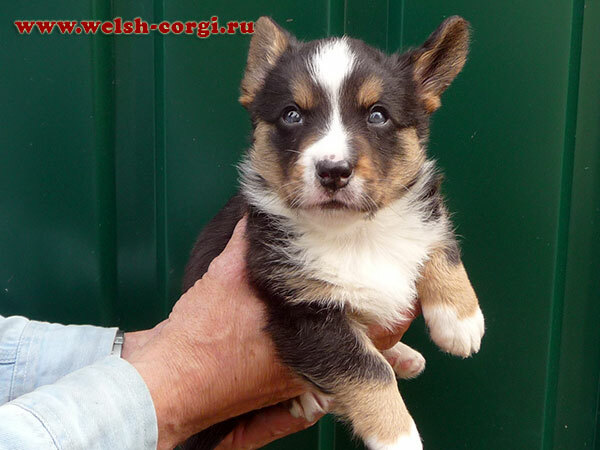 We have new pictures of tricolor welsh corgi cardigan puppy boy Zamok Svyatogo Angela SHIVA! 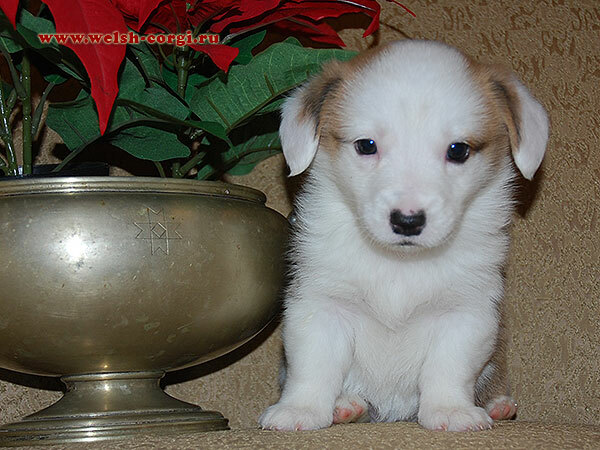 Please, find all his new pictures at the age of 1,5 months, pedigree and pictures of the parents on the page of SH Litter. 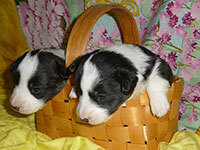 We have new puppies born on 26th of April! 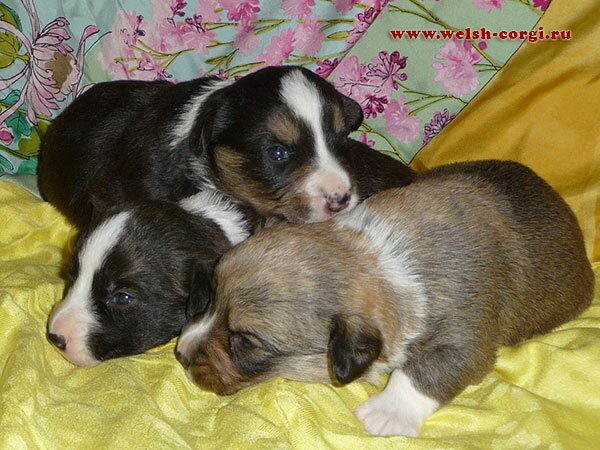 There are 1 brindle boy, 2 brindle and 1 red&white girls in the litter! 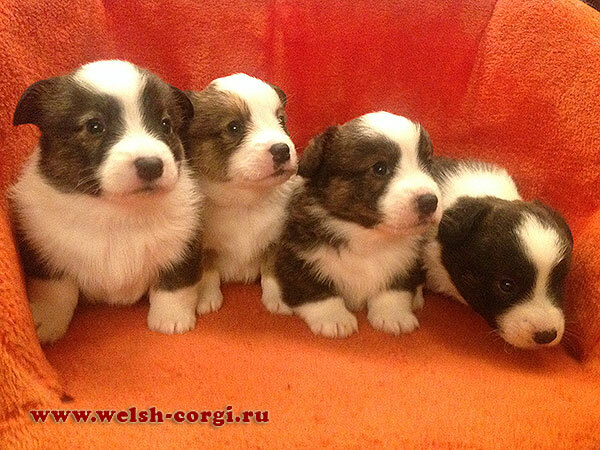 The Father of the babies is red&white Zamok Svyatogo Angela ZIGMUND and the Mother is brindle tricolor Zamok Svyatogo Angela HAVVA PTITSA! 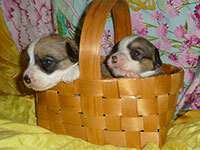 Please, find the pedigree of the puppies and pictures of the parents on the page of E Litter. 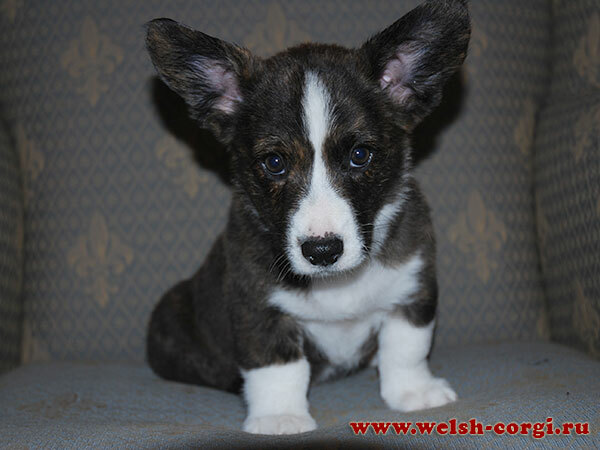 We have new pictures of our welsh corgi cardigan puppies at the age of 1 month! 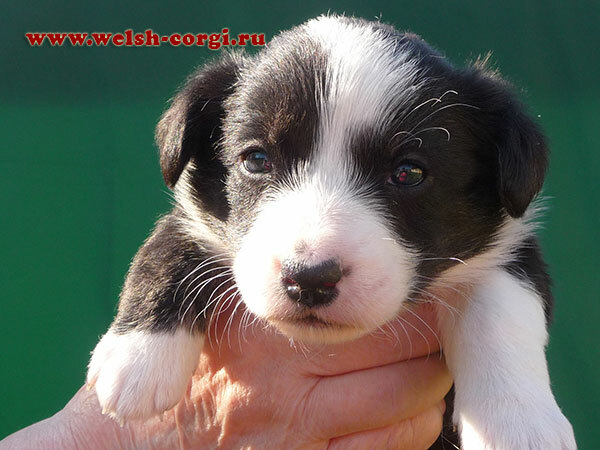 Please, find all pictures, pedigree of the puppies and pictures of the parents on the page of SH Litter. 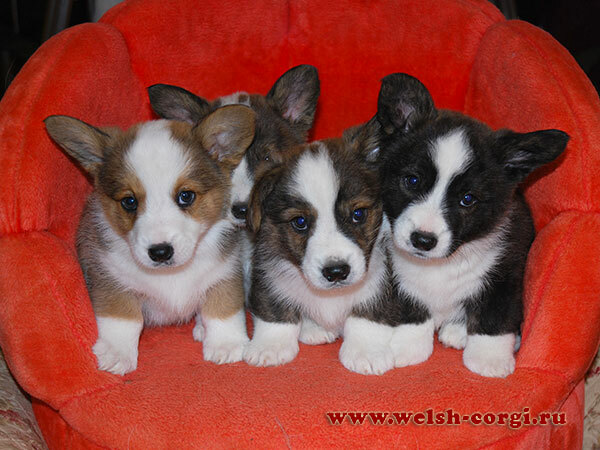 We made the first pictures of our welsh corgi cardigan puppies out of Zamok Svyatogo Angela SIMON and Zamok Svyatogo Angela NATANA! 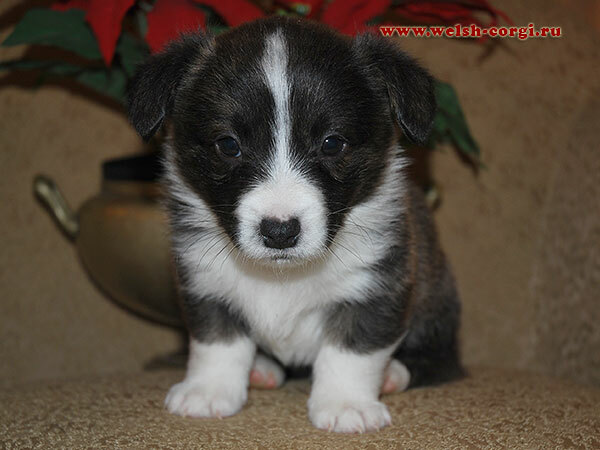 We have welsh corgi cardigan puppies! 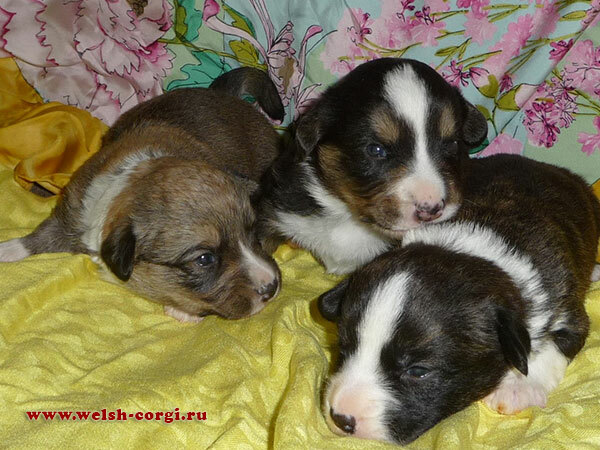 On the 12th of April our brindle Klim (Zamok Svyatogo Angela SIMON) and red&white Natana (Zamok Svyatogo Angela NATANA) gifted us with the 7 children - 3 boys (brindle, red&white and tricolor) and 4 girls (2 red&white and 2 brindle)! 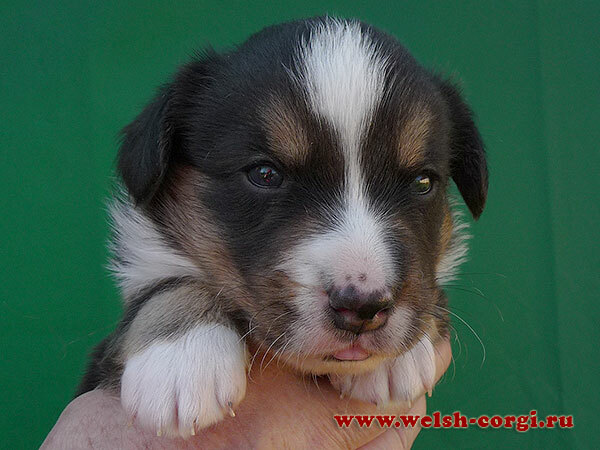 Puppies are growing now and e will show their first pictures very soon! 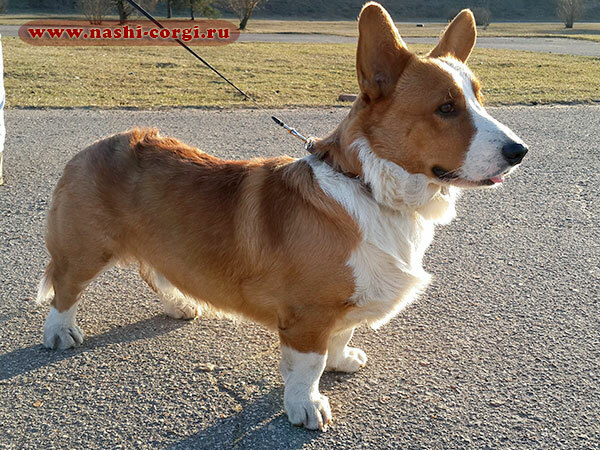 We have some new pictures of our Avva (BRAWURA FANATYCZKA Controversia)! 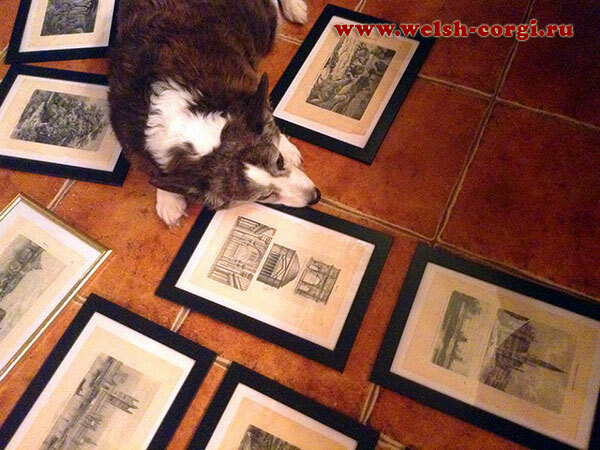 Even when you are 13 years old you can start as a designer! We have the first pictures of our welsh corgi cardigan puppies out of Zamok Svyatogo Angela ZIGMUND and Zamok Svyatogo Angela LUBOV! 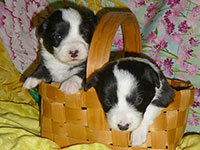 Please, find all pictures and pedigree of the puppies on the page of CH Litter. 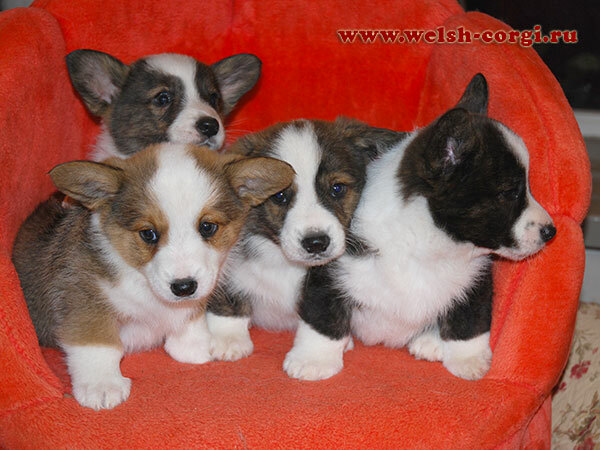 On the 12th of December 2015 4 beautiful welsh corgi cardigan puppies were born in our Kennel! We have 2 brindle boys and 2 red&white girls! The happy parents are Zamok Svyatogo Angela ZIGMUND and Zamok Svyatogo Angela LUBOV! 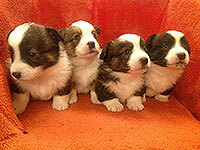 Babies are growing and very soon we will show their first pictures!